ST. LOUIS, April 3, 2019 – The National Wood Flooring Association will launch a federally registered Wood Flooring Specialist Apprenticeship at the Wood Flooring Expo in Fort Worth, Texas, May 1–3. This new apprenticeship designation is designed to help NWFA members attract new skilled labor into the wood flooring industry. 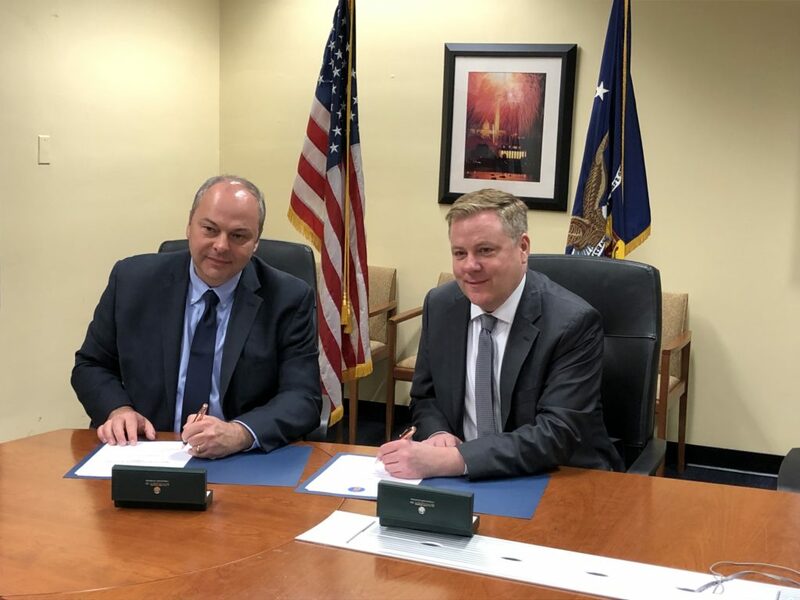 The program was officially approved during a signing ceremony with John Ladd, Administrator Office of Apprenticeship at the U.S. Department of Labor, in Washington D.C., on March 21. (Dudley) Light, Regional Director at the USDOL/ETA/Office of Apprenticeship, and Stephanie Owen, NWFA Education & Member Engagement Director. Light has been affiliated with the Registered Apprenticeship system for 48 years, and will share valuable tips on how to implement and maintain this program to help you grow your talent pool. The National Wood Flooring Association is a not-for-profit trade organization, with more than 3,200 member companies worldwide, dedicated to educating consumers, architects, designers, specifiers and builders in the uses and benefits of wood flooring. NWFA members receive the best in educational training, benefits, technical resources, and networking, to advance their professionalism and success. The NWFA is located at 111 Chesterfield Industrial Boulevard, Chesterfield, MO 63005, and can be contacted at 800.422.4556 (USA & Canada), 636.519.9663 (local and international), or online at www.nwfa.org.